We offer a variety of gift ideas - a few are generally in stock, while others may need to be ordered. We are also happy to discuss custom gift items for your wedding or baby shower, etc. Please contact me to discuss your ideas. A five ounce ball of soap (scents change according to availability) with a colorful hand-felted New Zealand wool covering that doubles as an pleasantly scrubby exfoliating washcloth. Multi-colored (no two are alike), they are roughly between a tennis ball and baseball in size. 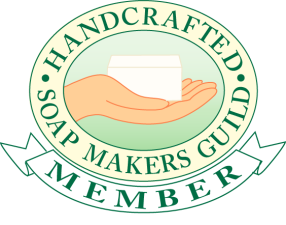 PLEASE NOTE: Contact me before placing your order of 3 or more soap samplers - I may not be able to fill these orders immediately. Three mini-bars of soaps that are consistently favored by guys. Selection does change from time to time: as of August 2017 the set includes Irish Traveller, Marrakesh, and Bay Rum. Each of the three guest-sized bars is individually wrapped and labeled. These bowls pictured here are made for us by a local potter. In the image to the left, you can see the bottom swirl and side grooves that provide a bit of friction with your brush to help build lather. There is some natural variation in size but if you want to put your soap in them, the bowls will hold a 3" puck of soap with an inch or so of space above the puck. They are available in assorted glazes and they have a characteristic indentation in the lip to provide a better grip. These are a hand-made item and the artisan's production schedule will determine their availability. These are limited edition bowls made by local potters. Please contact me regarding current stock. Click on the button (above) to purchase a PayPal gift certificate for Mystic Water Soap. You will have the choice of an e-certificate or hard copy. Please note these are redeemable only using PayPal and our website. If you would like a non-electronic gift certificate, please contact us (info@mysticwatersoap.com). ...except LeisureGuy's Guide to Gourmet Shaving: Author Michael Ham has once again included me in his list of recommended artisan vendors in the 7th (and final) Edition of his book. A perfect companion to a gift of shaving soap and accessories. These handsome hand-carved stone soap dishes are a Fair Trade product made in India by an artisan cooperative. They are both practical and beautiful, and make great gifts. Prices are $12.97 and $13.92 each. See my current offerings here. Mermaid soaps are blue and scented with lavender, and come packaged in small aquamarine gift boxes nestled in teal crinkle-cut paper with small seashells to remind them of home. Dragon soaps are a rich, dark brown and scented with Dragon's Blood. $6.60 each. 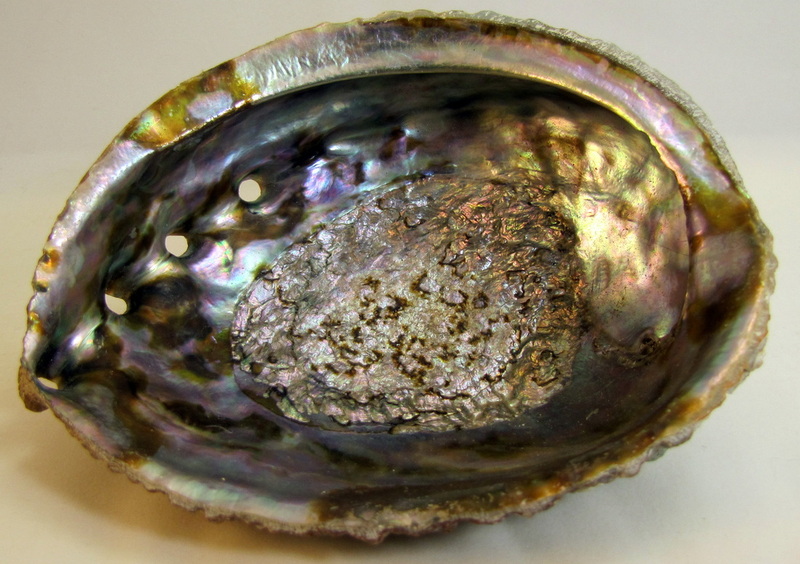 Abalone shells make beautiful soap dishes, jewelry holders or smudge bowls. Shells measure 5" to 6" from end to end. This attractive birch soap dish drains well, keeps your soap dry and won't break if it is dropped. Sisal bag for holding and using up slivers of your precious soap. Wet and use directly as an exfoliating washcloth. ​Perfect for never wasting soap again at home, and a lot easier to manage than a messy soap dish when camping. Diffusers for burning essential oils to scent the room. 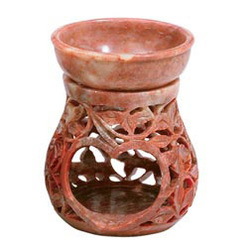 Oil burners are an efficient and attractive way to burn essential (or fragrance) oils for aesthetic and/or aromatherapeutic enjoyment. These are a fair trade item from India, and are carved from soapstone. Different designs range from 3 1/4" tall to 5 1/2" tall. Prices range from $11.56 to $23.11. See my current offerings here.